Somersham to Chatteris. 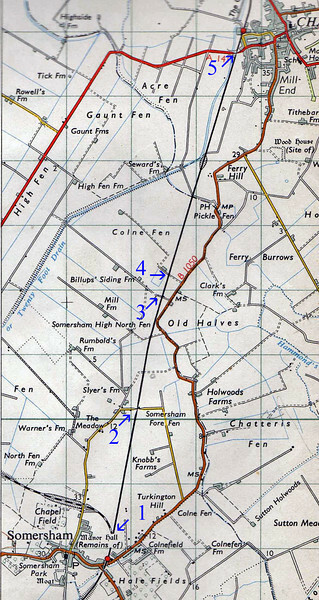 1954 OS map. 2, Somersham Fore Fen/Short Drove level crossing. 4, Silt Drove Crossing. Fitted with warning bells, operated by track circuits. 5, Hive End Crossing Chatteris.